A simple moment in the day to breathe, to pause, to reflect. Capture that moment and hold on to it, cherish it. If you choose to write down those thoughts, you’ll provide the opportunity to revisit that moment again and again. Along life’s journey, one may pass through adventures, joys, setbacks, hardships, laughs, and tears. Each event gives us something new. We are never the same after an experience. If we pause to remember, that experience can forever change us for good as we reflect back on the lessons life has brought to. Kathmandu Valley Co. is pleased to announce the New Nepali Traveler (Caramel) which is vegetable-tanned with mimosa bark. 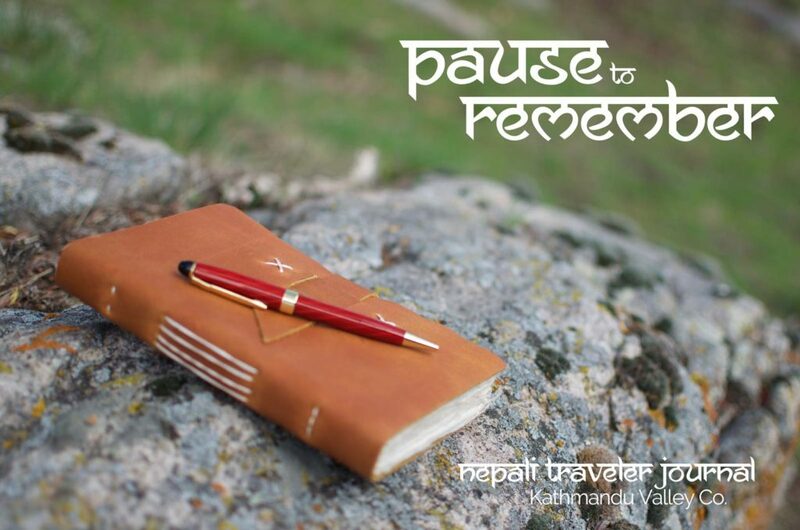 Kathmandu Valley Co journals are made in Nepal with handmade lokta paper from cuttings of Lokta bushes. The paper is unique, textured, and full of rough edges…just like life. Enjoy yours!